Beige metal storage lockers stand in rows on the scuffed and scratched red, brick floor. Looking up, the corrugated metal of the roof forms a thin barrier between the cavernous room and the sky. A patchwork quilt of clear and fogged windows lines the walls, as dim sunlight streams in. The atmosphere seems dead — almost as dead as everything in the room. “This is a deceptively quiet place,” says Vertebrate Fossil Collection Manager James C. Sagebiel says of the Vertebrate Paleontology Lab at the J.J. Pickle Research Campus on Burnet Road. 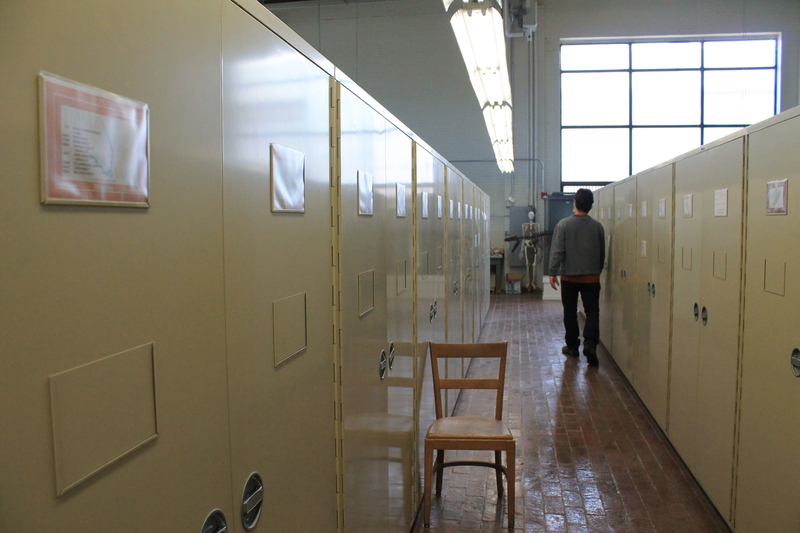 Housing thousands of vertebrate fossils that have been collected within the past 130 years, the laboratory serves as a research facility and fossil repository for the University’s students, professors, geologists, paleontologists and the federal government. From a five-foot-tall Alamosaurus femur to a shelf lined top to bottom with zebra skulls, the VPL has it all. 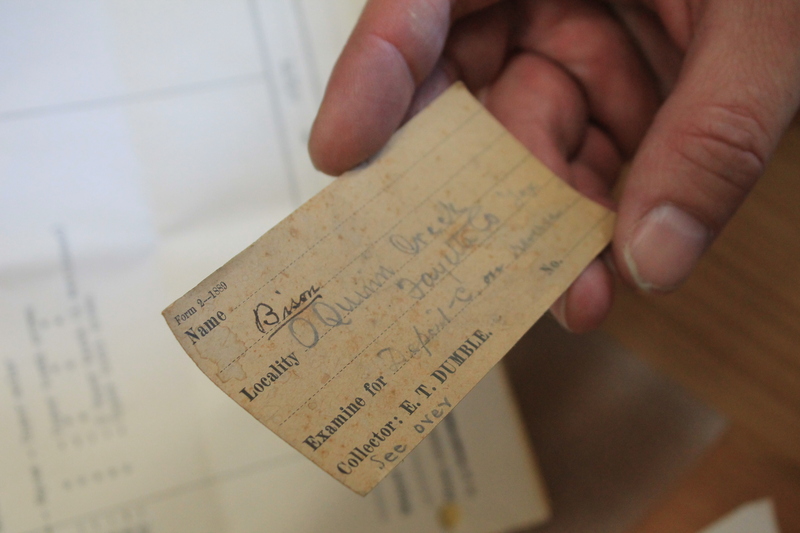 Although officially founded in 1948, the laboratory’s collections have a history of their own, starting with fossils from the Edwin T. Dumble surveys of the early 1890s. Collected by Dumble, then-director of the Texas Geological Survey, and analyzed by professors Edward D. Cope and William F. Cummins, these fossils in this collection (commonly known as the Cope collection) have made their homes inside little boxes in one of the many rows of metal cabinets at the VPL, each marked by Cope’s cursive handwriting on tiny, 19th century placards. In the basement of the laboratory, more shelves stand like soldiers in ranks, displaying the VPL’s numerous assortments of skulls, jaws and teeth. 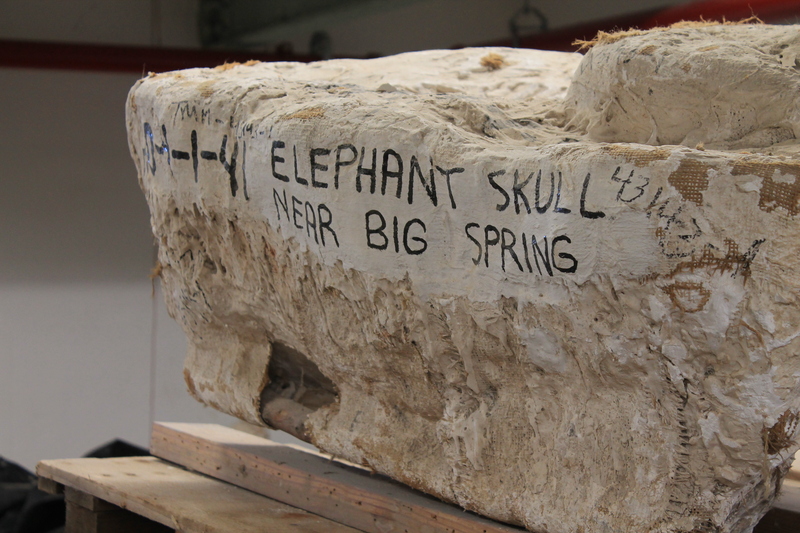 In the farthest corner of the room, big white, plaster jackets in the shape of mammoth tusks and dinosaur skulls are crowded on wooden crates and clear tarp. These fossils are leftover remnants of Franklin D. Roosevelt’s Work Progress Administration, a component of the New Deal during the Great Depression. To stimulate the economy, the WPA paid citizens to scour the Texas countryside for some of the state’s prehistoric vertebrates. However, many of these jackets haven’t even been opened. “When I took on this job, I just didn’t get it. 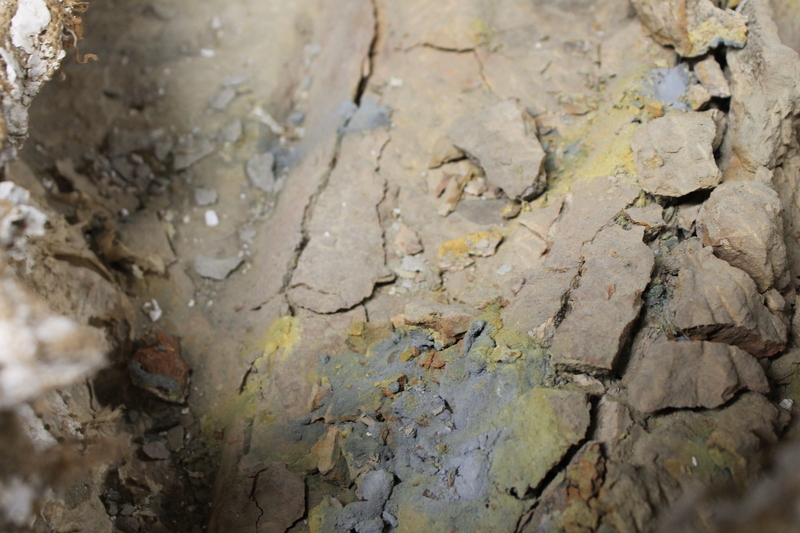 Why didn’t they prepare this stuff?” VPL Director and geology professor Timothy Rowe says. The answer? World War II. “When war was declared, the WPA ended. World War II changed everything. One of the things that it set in motion was what is now the J.J. Pickle Research Campus,” Rowe explains. In the 1940s, the Pickle actually functioned as a magnesium smelter to contribute to the war effort. Once the war ended, however, the government deemed the plant surplus and electrical engineering professor C. Read Granberry and engineering professor J. Neils Thompson procured the site for the University. The smelter’s buildings were then turned into research centers for the University, which is how geology professor Jack Wilson got his foot into the door of Building 6. As the fossils accumulated and Wilson gradually developed a budget for the VPL, the laboratory came into being. It still sits in the same building with its fireproof brick floors, evidence of its days as a magnesium smelter, on the Pickle campus, at the end of what is now Read Granberry Road. Although the edifice of the lab remains the same, many aspects of the VPL have changed. Now one of the seven largest vertebrate fossil repositories in North America, the VPL facilitates studies for students and professors, loans out fossils to paleontologists all over the world and maintains a state-of-the-art CT scanner for fossil research. “There aren’t students running around, or people coming in and out frequently, but my email is always full. It’s not just UT people. Just this week, I had people from Canada, some from Florida, and somebody from South America. It’s busy and it’s international,” Sagebiel comments. However, to fund all of the ongoing research at the VPL, many of the maintenance aspects of the facility have been overlooked, says Sagebiel. 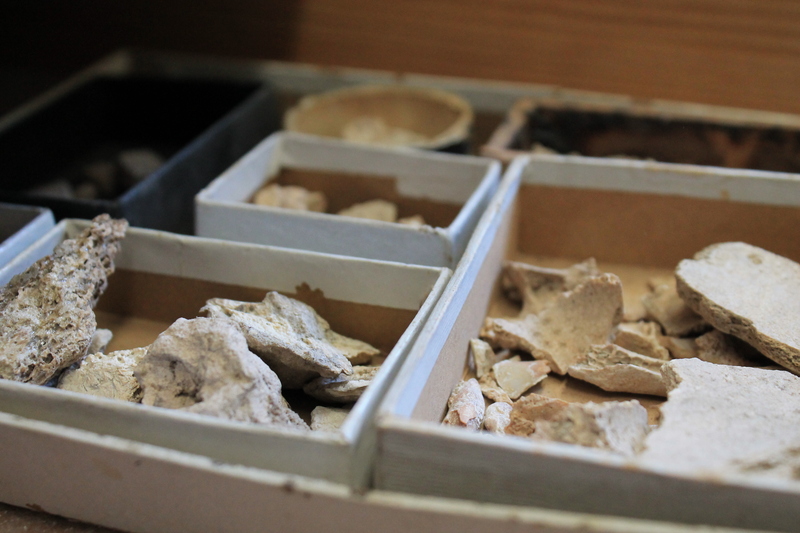 The foggy windows let in fossil-damaging UV light and the wooden drawers release acid onto the fossils inside them, which further deteriorates the specimens. 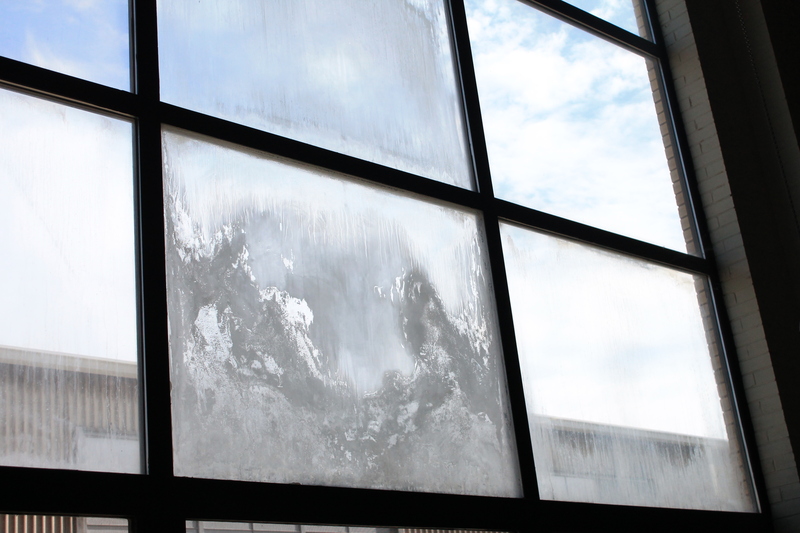 Since most of the facility lacks air conditioning, many fossils break and crack as the minerals inside them swell and shrink with the fluctuating humidity. Because all of the laboratory’s information has yet to be completely archived digitally, the humidity and meddling bugs have also taken a toll on the papers used to identify the fossil collection, including century-old papers labeling the Cope collection. However, with only two staff members, keeping up with the laboratory’s maintenance poses obstacles. Without the means to update the facility and hire more staff, the lab loses “information pretty much daily,” Sagebiel says. As a part of the Texas Natural Science Center at UT, the VPL receives $193,333 dollars from the University’s College of Natural Sciences every year. Most of this money goes to either research or to pay the VPL’s staff, which leaves little leftover for major facility upgrades. 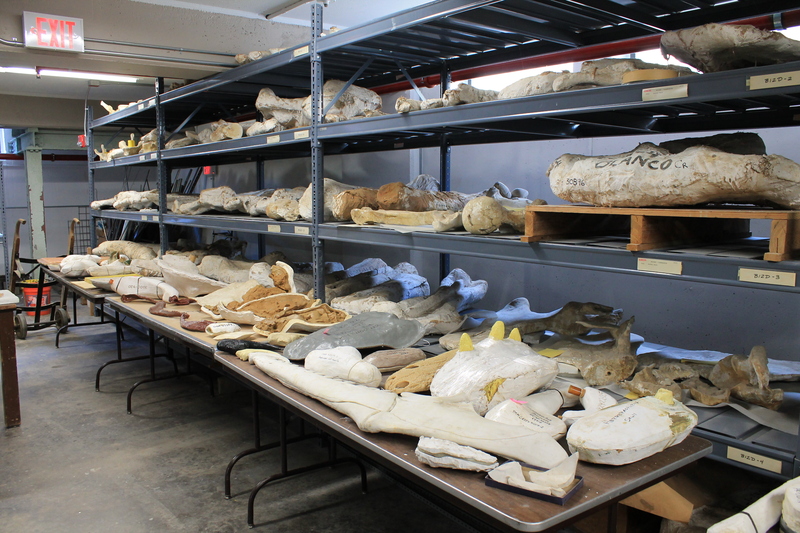 “We figure it would cost about $500,000 dollars to upgrade storage materials in the main fossil collection. This is for metal drawers, archival-quality specimen trays and custom plaster or fiberglass mounts for some of the larger, fragile specimens,” Sagebiel estimates. Theriot says he has valued the combined collections of the TNSC, including the VPL’s fossils, between $1.5 billion to $4.5 billion dollars – a high number in contrast to the TNSC’s yearly budget. Despite the small budget, the VPL receives most of its resources from endowments set up by current and past lab directors and research grants. These funds support student and faculty research and the general upkeep of the facility. Most of geology graduate Adam Marsh’s dissertation rested on the availability of endowment and grant money, he says. “Paleo students at UT specifically can ask for a small amount of money for a certain research project. I got that last year for uranium datin. I was also awarded a two-semester fellowship grant,” Marsh clarifies. Marsh used these grants to completely describe the fossil of the basal sauropodomorph Sarahsaurus, a fossil discovered by Rowe. To continue funding research on fossils and uphold the lab’s threefold mission (research, education and archiving), the lab needs money and publicity, Rowe emphasizes. “If someone wants to give an endowment to the lab, I’ll name a dinosaur after them,” he laughs. But he means it. Rowe actually named Sarahsaurus after Sarah Butler (the same Sarah Butler of UT’s Butler School of Music) for her contributions to the educational dinosaur pit in Zilker Park. For Rowe, philanthropic acts like Butler’s indicate that the study of fossils and the research at the VPL holds an important place in the community and in the progress of science. For Marsh, charity like Butler’s has empowered his childhood dream to be a paleontologist — a dream he says he just never grew out of — and his adult curiosity. “Why does the sun rise every morning? What’s the process that has led things to be the way they are? It’s something that nobody was around to see. What can we learn about the history of the Earth through these fossils and rocks and what does that say about modern biotas and climate change? That’s what fascinates me,” he says.